Well, the results are in, and once again Canberra restaurants have featured quite well in the Sydney Morning Herald Good Food Awards. The big question is: Who will take this year’s hats? The old-skool crew, or Canberra’s latest slew of fresh faced outlets? Well, Aubergine has done it again. We’re counting three years in a row that the team at Aubergine have maintained this impeccably high standard. The food remains inventive, the service impeccable and the atmosphere sublime. Put it all together and you get a wonderfully consistent experience that is worthy of another couple of hats ion 2014. Oh, and that’s not all… did we mention how good the wine is? Fittingly, they’ve also nabbed Best Regional Winelist of the Year. Well, congratulations must go to Temporada in the City – the second outlet for Ben Willis, Chris Darragh and the team. This fresh take on Spanish dining has been a hit since opening earlier this year. And yes, the wine is amazing. If you haven’t been, good luck getting a reservation before October! Plus, they’ve done it. 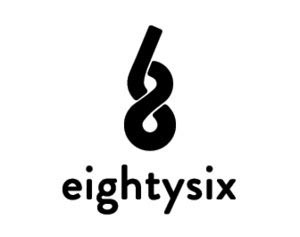 EightySix has hit home with a hat of their own. With a fresh approach to the Canberra Dining experience, the Canberran has never received so many comments – both good and bad. It shows that while this might be the enfant terrible of food in the Nation’s Capital, it might take a year or two to settle down and receive a second – and most likely hightly-deserved second hat. And the full list of single hatted restaurants for the ACT? Well done to everyone! Here’s to another great year of Canberra dining!